Some of the best ideas on www.AQuarterOf.co.uk come from our customers. And this is one of them and it is simply brilliant and brilliantly simple! Take a load of the best shrimps there were... and put them in a classy glass gift jar (which also keeps them nice and fresh... bonus!)... 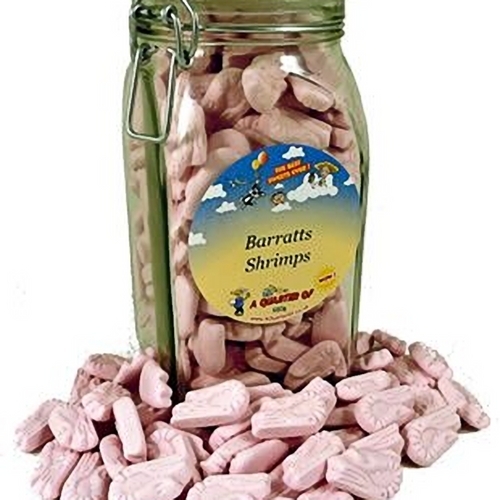 and you have got our Barratts Shrimps in a Kilner Jar.